Inflammation. It’s not just for health headlines; It’s a fact. Scientists are measuring levels of inflammation in our bodies and finding that it can be devastating for our health. This is especially true when it becomes chronic, but even low levels of inflammation on a chronic basis can create problems and lead to disease. Inflammation is often thought of as the root cause of all disease. This makes sense when you consider that it has been closely linked to obesity, heart disease, stroke, Alzheimer’s, Rheumatoid arthritis, and diabetes - just to name a few. As I’ve discussed often, inflammation is a vital part of our immune system's response to injury or infection. It’s our body's way of triggering the immune system to spring to action to repair damaged cells or tissues and defend our body against foreign invaders like viruses and bacteria. Without inflammation, wounds may become septic and infections deadly. But if the inflammatory process continues for too long, or if inflammation occurs in places where it’s not needed, it can become a problem anywhere in our body or brain. Luckily, a healthy diet and lifestyle can help keep inflammation under control. An anti-anti-inflammatory diet can help control inflammation, but what does it actually consist of? There are two main components to an anti-inflammatory diet. Part of it involves avoiding certain foods that create additional inflammation - I’m sure you are familiar with most of these… white sugar, fried foods, rancid oils, and white flour top my list. But in general, processed foods high in salt, sugar, trans-fats, and refined carbohydrates should be avoided. When these kinds of foods are eaten in excess, higher markers for inflammation are often seen. The other part of an anti-inflammatory diet involves what you should eat - healthy, nutrient-dense, natural foods, especially antioxidants. These foods can lower markers of inflammation in our bodies. So which foods are they? Pretty much any food that is natural, nutrient dense and loaded with vitamins, minerals, and colour. To keep inflammation in check, do your best to choose a wide variety of delicious, antioxidant-rich foods. Let’s delve deeper into these and take a look at my top 9 anti-inflammatory foods that help control chronic inflammation. Berries of every colour plus grapes and cherries are packed with fibre and antioxidant vitamins (like vitamin C) and minerals (like manganese). Moreover, blueberries in particular, are one of the best antioxidant foods for your brain and play a prominent role in neuronutrition. If you’re not sure what neuronutrition is, please check out a previous blog to learn more. Broccoli is a cruciferous vegetable, and one of the healthiest vegetables around. It contains the powerful antioxidant "sulforaphane." This anti-inflammatory compound reduces your levels of inflammatory cytokines, and is associated with reduced risk of heart disease and cancer. Broccoli also contains key nutrients like potassium, magnesium, flavonoids, and carotenoids, making it a perfect anti-inflammatory food. All these nutrients work together to reduce oxidative stress and help battle chronic inflammation. Fat can be terribly inflammatory (like trans fats), neutral (like saturated fats), or anti-inflammatory (like omega-3s). This is why choosing the right fats is so important for your health. They are also a vital component of a brain-healthy diet and neuronutrition program. Green tea contains an anti-inflammatory compound called “epigallocatechin-3-gallate” - otherwise known as EGCG. EGCG is linked to a reduced risk of heart disease, certain cancers, obesity, and Alzheimer's. As an added bonus, the caffeine contained in green tea binds to the antioxidants within it to slow the caffeine’s absorption. Translation? Instead of getting a quick burst of energy and subsequent crash that often comes from the caffeine contained in coffee, tea’s caffeine is released slowly and steadily. Bell peppers are one of the best sources of the antioxidants vitamin C and quercetin. 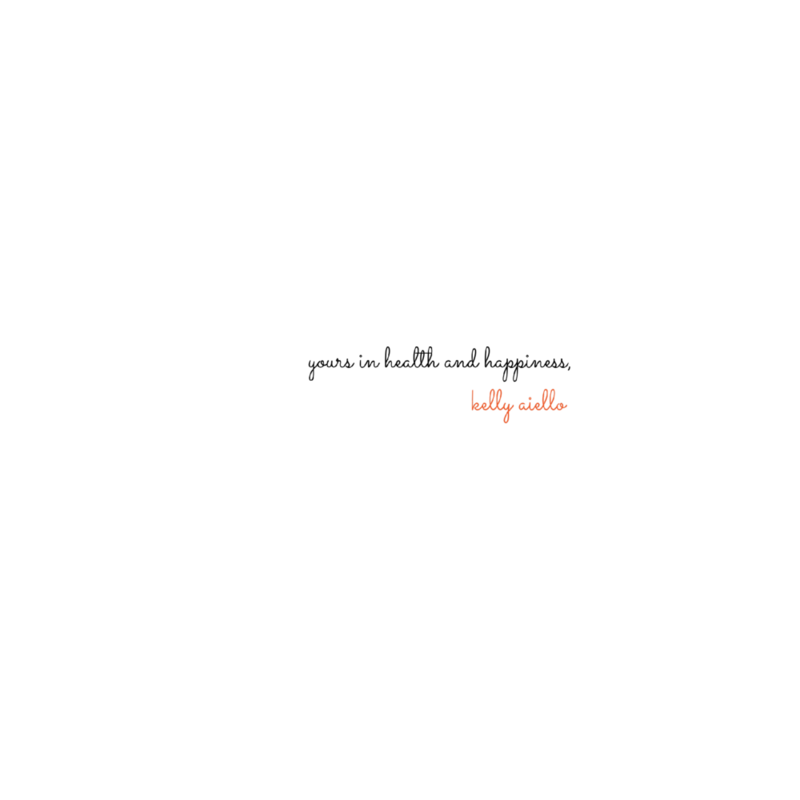 Quercetin can reduce a specific marker of oxidative damage in certain inflammatory diseases. Just make sure to choose red bell peppers or chilli peppers over the other colours. Peppers that are any other colour are not fully ripe and won't have the same anti-inflammatory effect. I love adding red peppers to any salad - they provide a good crunch and loads of flavour, too! Pineapple, though a high sugar fruit, contains a wonderful anti-inflammatory substance called bromelain. Bromelain is a digestive enzyme that appears to have immune-modulating abilities. This means that it can regulate or control the immune response to prevent unwanted inflammation. Bromelain can also fight blood clotting and stop blood platelets from sticking together and building up along the walls of blood vessels to reduce the risk of heart attacks or strokes. In addition to its antioxidant properties, pineapple also contains vitamin C, B1, potassium, and manganese that all work together to prevent disease. The produce drawer in your fridge is the first place to fill when trying to fight inflammation. The fruits and vegetables it contains are rich in the antioxidants and anti-inflammatory flavonoids that can reduce inflammation and restore cellular health. Dark green leafy vegetables like kale, spinach, Swiss chard, and rainbow chard are packed with antioxidants like vitamins A and C. They also contain vitamin K which works to protect your brain against the oxidative stress caused by free radical damage. These nutrients are also important because many of us are deficient in vitamin K, and it’s vital for the proper health of our bones, brain, and heart. Dark chocolate, with at least 85% cocoa is packed with anti-inflammatory antioxidants called “flavonols." These reduce the risk of heart disease by keeping your arteries healthy. They've even been shown to prevent "neuroinflammation" (inflammation of the brain and nerves), promote brain plasticity, help brain cells live longer, and increase blood flow to the brain. Reducing neuroinflammation may help with long-term memory and reduce the risk of dementia and stroke. In addition, dark chocolate contains hundreds of chemical compounds that further benefit brain health and mood. Some of these compounds are tryptophan (which creates serotonin), magnesium (which calms stress), and antioxidants (that boost mood and keep you focused). Chocolate also contains just enough caffeine to boost memory, mood, and concentration — but not enough to make most people feel wired. So, if you’re craving something sweet, a little dark chocolate can do the trick! Just make sure you avoid sugary “candy bars,” though. You already know those aren’t going to be anti-inflammatory! You guessed it! An anti-inflammatory diet can actually help you live longer! So if you’re hoping to live a long, healthy life, you might just want to embrace an anti-inflammatory diet! Research suggests that a healthy whole foods diet which includes ample fruit and vegetables, but excludes refined and processed foods is associated with a lower risk of early death. And these are the exact types of food contained in an anti-inflammatory diet. There are so many amazingly delicious and nutritious anti-inflammatory foods you can choose. They range from colourful berries, vegetables, and spices, to healthy fats, and even cocoa. You have so many reasons to add anti-inflammatory foods to your diet to get your daily dose of “anti-inflammation” and to help you age gracefully. I’d love to hear what you think. Drop me a line or comment below with your favourite anti-inflammatory foods. 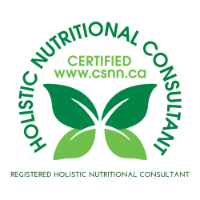 And if you are looking for help in creating the best anti-inflammatory diet for you, or wish to improve your brain health, consider working with me. 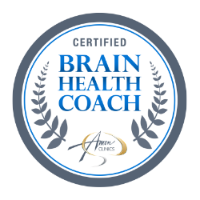 As a newly certified Amen Clinic Brain Health Coach, I can devise an individualized program for you to help boost your memory, banish brain fog, and maintain (or improve) cognitive function as you age. It’s never too late to start! Please share, like us on Facebook and be sure to subscribe to my YouTube channel.